The Pennsylvania Department of Transportation requires vehicles to be registered and titles. Afterwards, drivers are given the option to personalize their vehicle through Pennsylvania license plates. Unless you request a special plate from the Department of Transportation when registering a vehicle, you will be given standard Pennsylvania license plates. These plates feature a blue license plate number in front of a blue, yellow, and white backdrop. 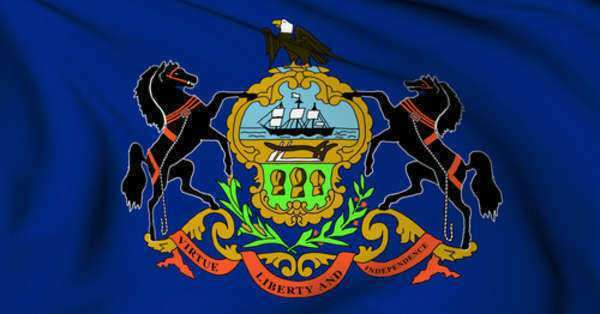 "Pennsylvania" spans the top of the license, while the state's official Web address, reaches across the bottom. Own a valid license plate with a valid registration sticker, which you have to surrender after receiving your vanity plates. Complete Form MV-904, or the Application for Special Registration Plate and include a check for $20. Currently, the Department of Transportation offers over 100 Special Organizational plates, many of them being collegiate plates. All of these plates have the state's standard license plate colors, but include the organization's emblem or logo on the left side of the plate and the organization’s name on the bottom. These organizational Pennsylvania license plates are available for all motor vehicles except trailers and motorcycles. If you are looking to obtain one of these plates, you must contact the organization's main office for an application.